Millet designed the LTK XCS for “intense, top-gear, calorie-guzzling sport.” The fitted pant has meshed thigh vents for dumping heat and a sporty cut for unrestricted movement. The LTK is engineered with a special XCS fabric which is perfect for high-performance ski touring without the high price of a patented membrane. Strategic reinforcements in the knees and cuffs imply the pants are meant to be used by serious athletes. As a bonus, the cuffs have special adaptation for Alien ski/walk mode levers, so there is one less thing to fiddle with when you’re on a mission. 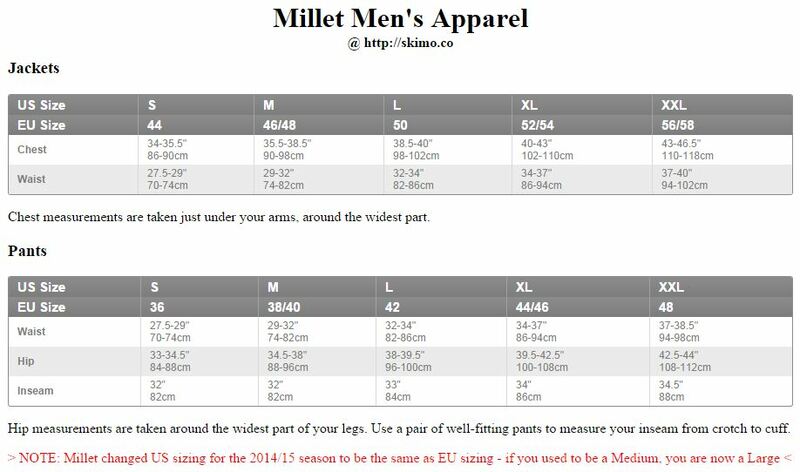 Millet has a gem with the LTK XCS pant. 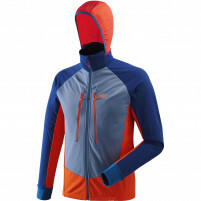 XCS 100™ fabric is the “ideal companion for ultra-intense ski touring”. Thigh vents have a mesh backing so your legs or boxers aren’t exposed. Pre-shaped knees are reinforced to keep you flowing long-term. Elastic waistband and drawcord offer a comfortable, secure fit. Toughtex™ reinforcements on the cuffs will protect from ski edges. Zipped cargo pocket on the thigh is a good place for quick-access items. OK - I haven't used these yet BUT I can tell just from wearing around the yard while doing my snow dance ... they will be my new favorites. Fit is great - not too "euro". I can go on a dawn patrol mission and head straight to the coffee shop for an americano and pastry with out feeling silly. They are pretty light so on cold mornings a base layer will be essential but that being said if you are hammering up the skin track they are perfect. There are 1/4 length zipper side vents too, so over heating won't be an issue on warm days.